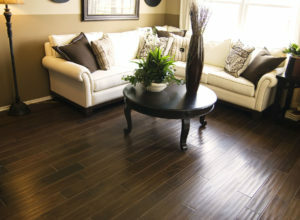 American Flooring Removal specializes in dust-free tile and hardwood floor removal. Our revolutionary system utilizes a state-of-the-art solution for floor tile removal, hardwood floor removal, underlayment, and virtually all other types of flooring material currently on the market. Our dust-free tile removal process is exceptionally fast and efficient, ensuring that your project is completed on-time and with minimal hassle. 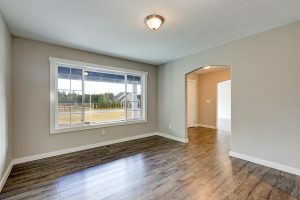 Concerns about the residual dust and debris from traditional floor tile removal and hardwood floor removal have become a significant worry for many homeowners considering redoing their floors. Now there is a solution. Dust-free tile removal and hardwood floor removal not only speeds up the removal processes (getting the project done faster than traditional methods), it is safer for clients with health and environmental concerns like respiratory illness or vulnerable overall health. Families with infants, young children, elderly relatives, or pets living in the homes can rest easy knowing their loved ones are protected from the harmful dust and debris produced by traditional floor removal. Businesses like hospitals and other medical facilities, restaurants, office buildings, schools, and libraries also can rest assured that their clients, customers, or students are not breathing in harmful particles after a necessary floor replacement. We are the environmentally friendly solution. What types of flooring does American Flooring Removal take care of? Read on for more details about our specific flooring removal services! Here at American Flooring Removal, one of our frequently requested services is tile removal, specifically our proven dust-free tile removal. We utilize a state-of-the-art system that suctions dust right from the tile being broken up and removed. 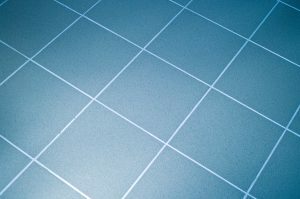 This process is three to five times faster and more efficient than traditional tile floor removal, and is inherently much cleaner and environmentally friendly. In addition to regular tile removal, American Flooring Removal also does ceramic tile removal. Ceramic tiles generally produce intense amounts of fine-particle dust that lingers in your home for weeks, even months, after traditional ceramic tile removal work. With our patented dust-free ceramic tile removal system, American Flooring Removal can prevent such a disaster from happening to your home or business. While laminate wood flooring generally does not produce a lot of dust when removed and replaced, our dust-free system is still an ideal choice for your laminate floor removal. It is much more efficient at cleaning and preparing the surface for new flooring to be installed than traditional methods. Our system produces a flatter, more even under-surface in a shorter amount of time. This creates a perfectly prepared surface for the new flooring. Hardwood floor removal is infamous for the inordinate amount of small-particle debris left behind by traditional methods. Our dust-free system has enough suction power to prevent splinters and fragments from even the most stubborn hardwood floor, keeping your home or business free of sawdust and other debris. Natural stone’s inherent structure has made it one of the messiest flooring styles to remove. With American Flooring Removal’s dust free natural stone flooring removal system, discerning customers don’t need to worry about harmful stone particles and dust left behind when they renovate. 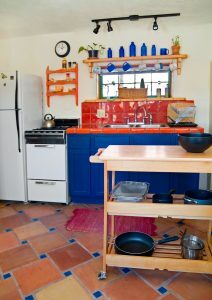 Saltillo tile, with its fire-hardened clay structure, can be highly troublesome to remove and replace using traditional methods. 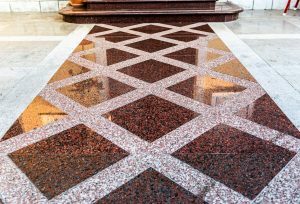 Our dust-free system guarantees there are no irritating, hazardous dust particles to contend with when removing Saltillo tile. Removing painted floors not only creates volumes of dust, but potentially hazardous paint chips are introduced into the environment when removing painted floors with traditional equipment and setups. American Flooring Removal’s dust-free system prevents such a situation at the start of the removal process, preventing dust and paint chip residue from the outset. Stained concrete floors are notorious for the dust and debris left behind when they are removed or replaced, with dust and debris sometimes lingering for weeks. American Flooring Removal uses a dust-free removal system and equipment to prevent this from happening. Safer and cleaner stained concrete flooring removal is affordable with our dust-free system. While protective coverings like resilient floor coating for linoleum and vinyl are ideal in many environments, they turn removal and replacement into a huge hassle with traditional removal methods. The inherent resiliency of the floor coating makes a simple job into a complex ordeal, and with the added trouble of dust and debris, it becomes nearly impossible to find an excuse to order the removal and replacement. American Flooring Removal’s dust-free system takes care of the added stress of cleaning up for weeks after the removal and replacement is done. Our extremely rugged and industrial-strength equipment also completes tough jobs, like resilient floor coating removal, in less time than traditional equipment and methods. What locations does American Flooring Removal service? What are the benefits of choosing American Flooring Removal? American Flooring Removal can complete most jobs in less time than traditional flooring removal companies. With the added incentives of less prep work for the replacement flooring installation, a dust-free removal process, and quicker completion of your project, why would you choose any other flooring removal company? Ready to remove your old, worn out floors? Need a solution that is easy on your wallet, your family or customers, and most of all, on you?